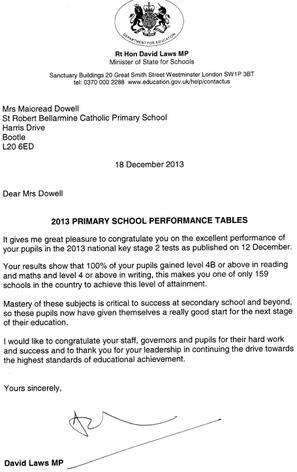 We are delighted to receive the attached letter from David Laws MP, congratulating us on the excellent performance of our pupils. The results show just how well our school is doing compared to other schools nationally. We are extremely proud of our children.